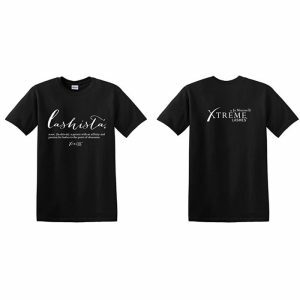 Our exclusive Xtreme LashesÂ® Eye Makeup Remover has been formulated and tested specifically to accompany Xtreme LashesÂ® Eyelash Extensions. Extensive research and development has been done to ensure our remover has no adverse effects on the bond strength of Xtreme LashesÂ® adhesives, ensuring clients a safe and effective way to remove makeup without harm to their eyelash extensions. 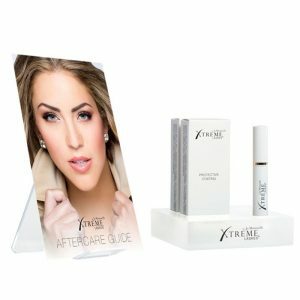 Xtreme LashesÂ® Eye Makeup Remover contains no artificial colours or fragrances andÂ absolutely no oils, which can damage and even completely dissolve the bond of eyelash extensions. It is aloe vera based for maximum moisturizing and has a pH level equal to that of natural tears to gently and thoroughly remove eye makeup while softening and soothing the delicate skin around the eye area. 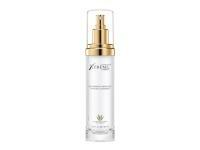 Soothing Aloe Vera Juice-based formula gently cleanses and moisturizes skin while conditioning lashes and brows.Â Coconut-derived cleansing agent removes impurities and makeup while anti-oxidant and vitamin-rich botanical extracts including rosehip, chamomile, eyebright and cucumber calm, refresh and nourish and protect for a daily beauty treatment. Over 90% natural with no artificial colours, fragrances, dyes, or mineral oils. Sulfate-freeâ€”wonâ€™t irritate or strip your skin of natural oils.